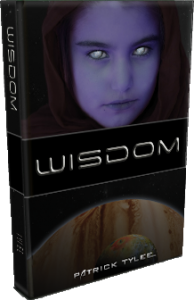 Just mailed out the twenty-five copies of #WISDOMTHEBOOK to the winners of the Goodreads.com Book Giveaway for the US and Canada. How cool to see eight readers up in the #greatwhitenorth to score a flight around Jupiter on the Equus* with Jove and Elmyrah. (um…really, right up there ^^^) and get your name in the hat! “Is this for the 2015 Cover Edition?” you ask. Oh, no sirree, ma’am. This is for a 2014 Collector’s Edition Cover by Lacretia Hardy. Only 105 books of this cover have ever been printed. *Contest winners must have a valid Galactic Passport issued by the Legion of Worlds Travel Bureau.